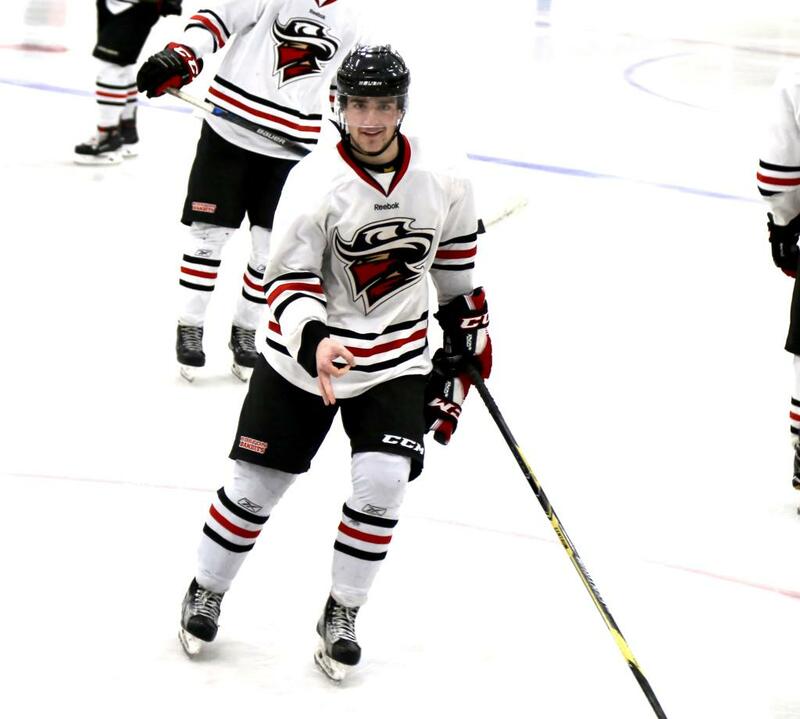 The Boston Bandits organization is proud to announce that Louis Chaix has chosen Anna Maria College to continue his hockey career. 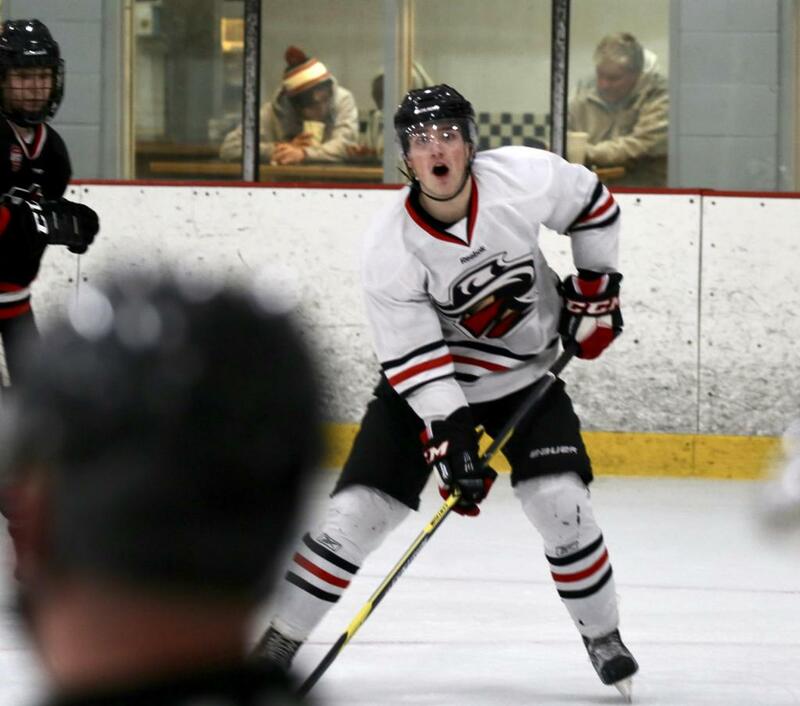 A native of Nantes, France, Chaix traveled to the States to play for the Bandits and gain unprecedented access to college and pro scouts. 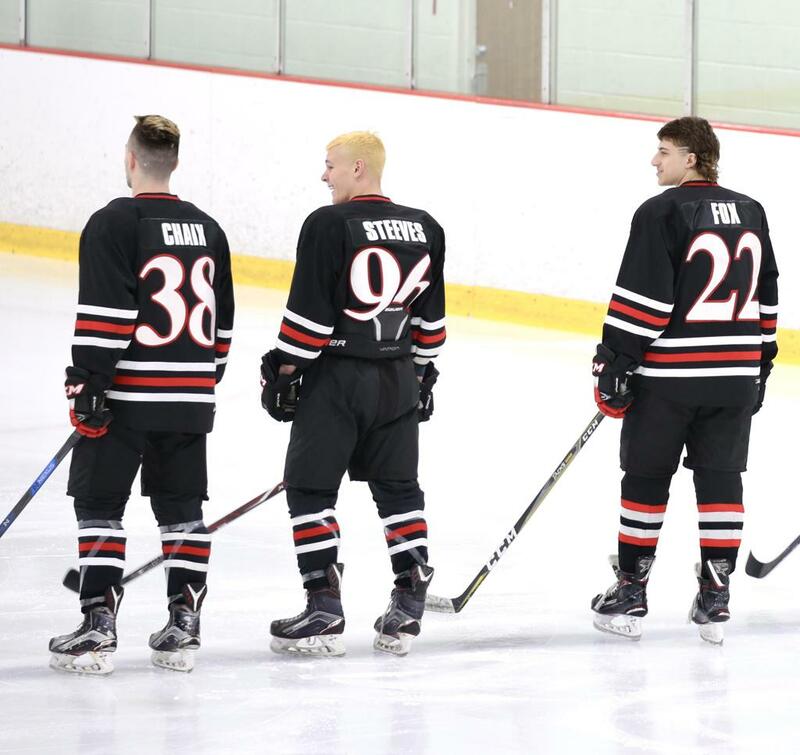 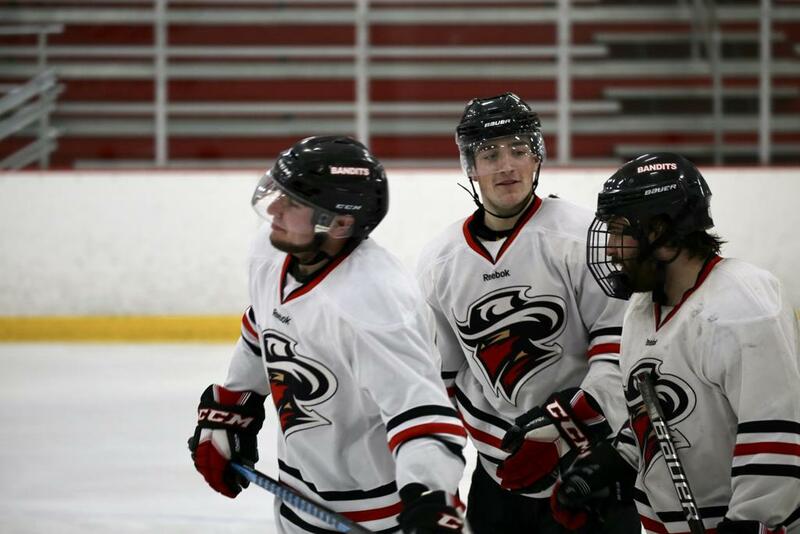 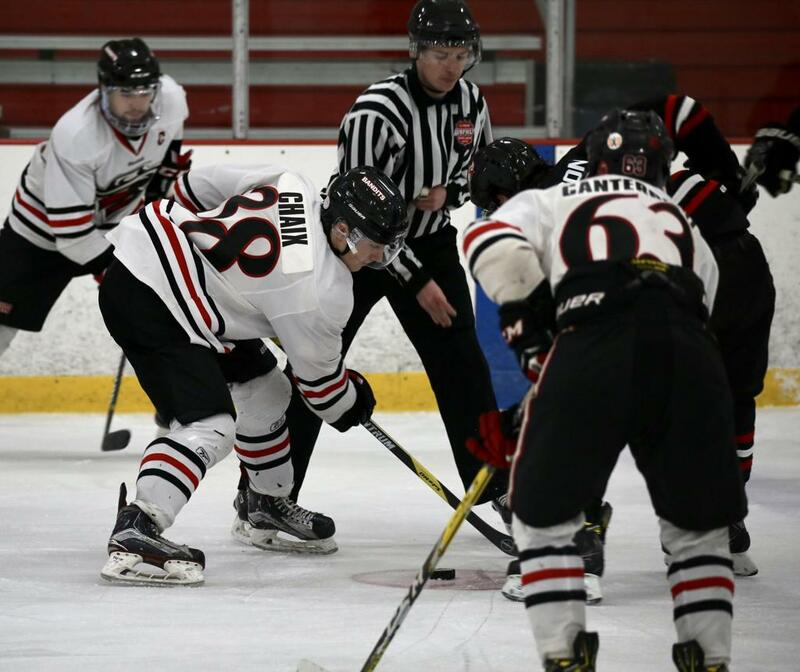 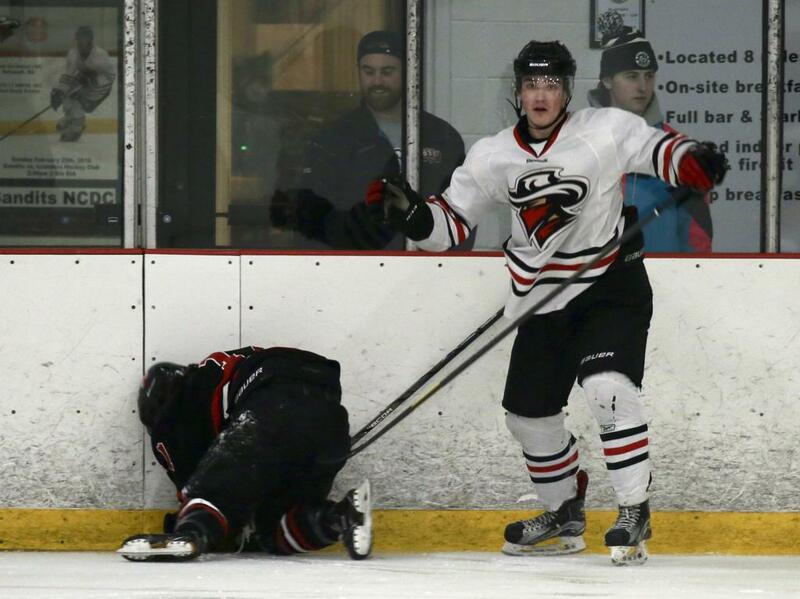 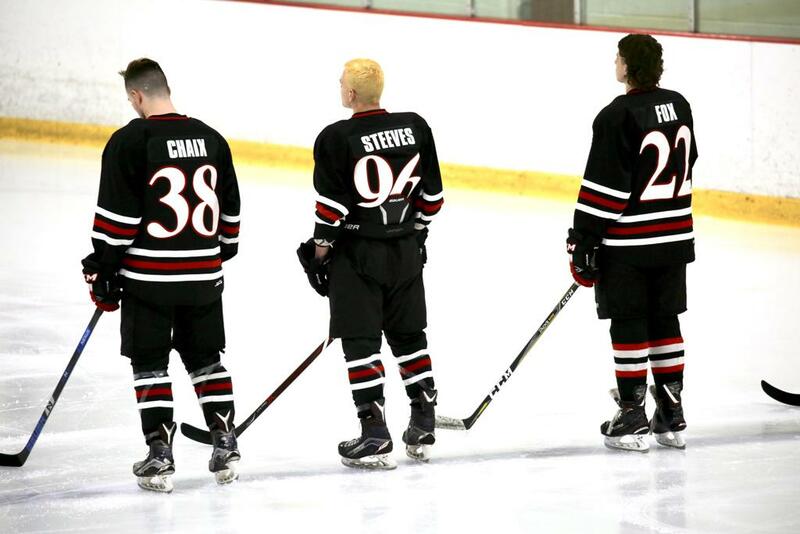 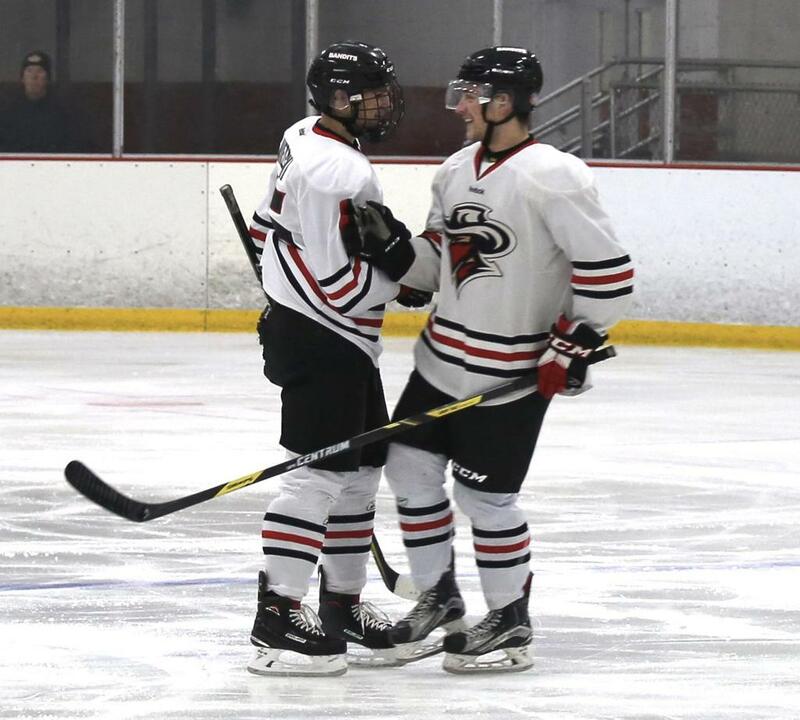 This is the first year the Bandits have played in the USPHL and Chaix is a big reason the Premier team remained competitive throughout the season. 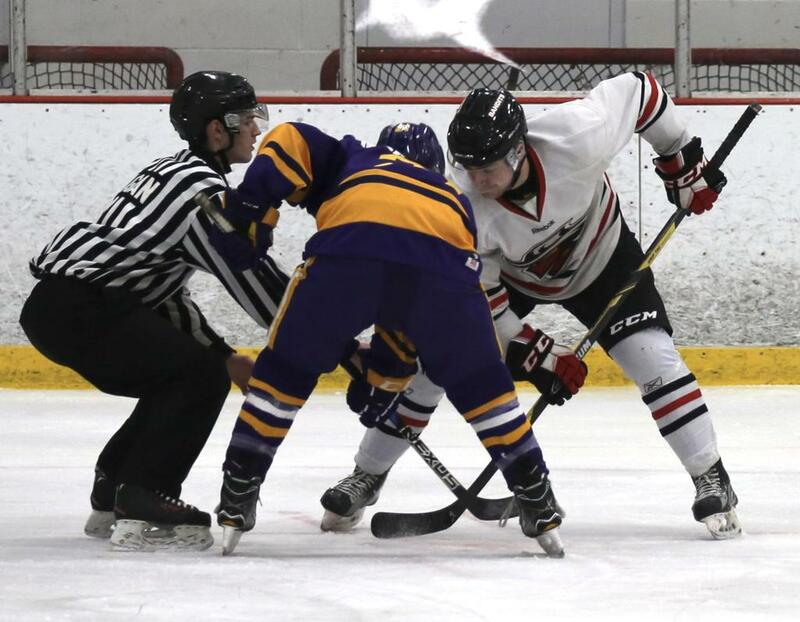 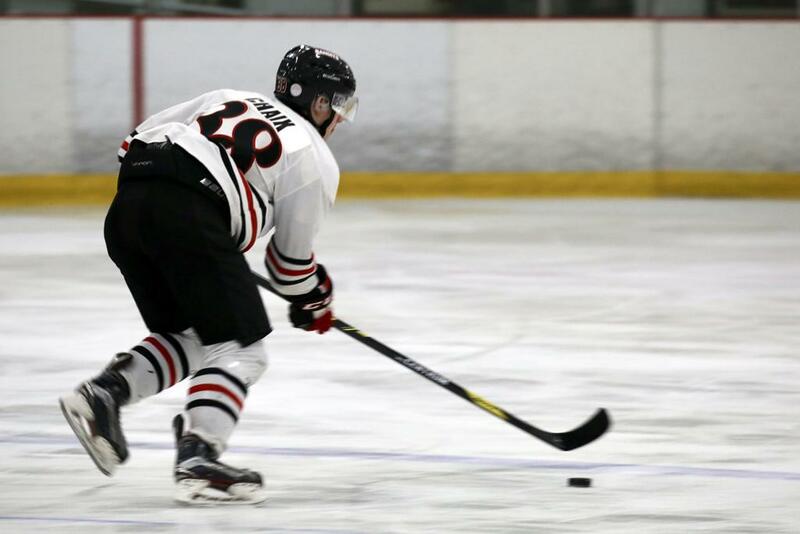 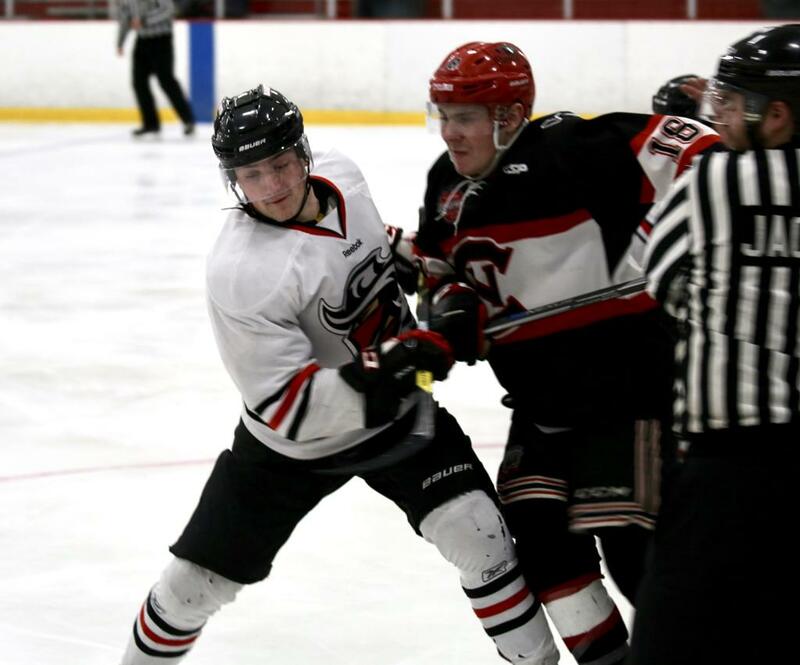 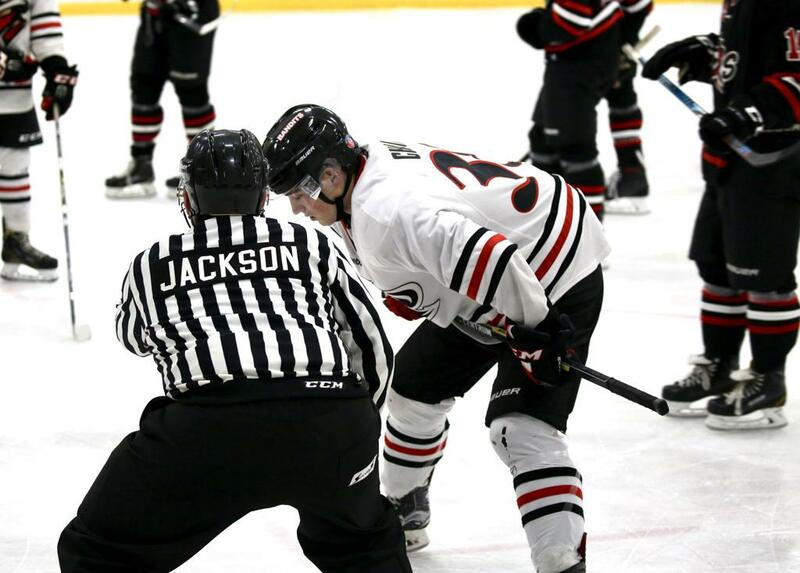 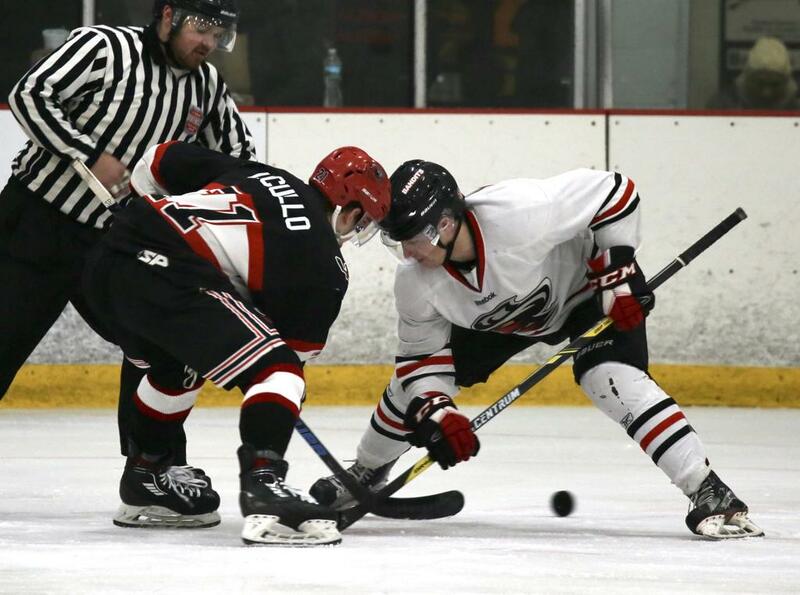 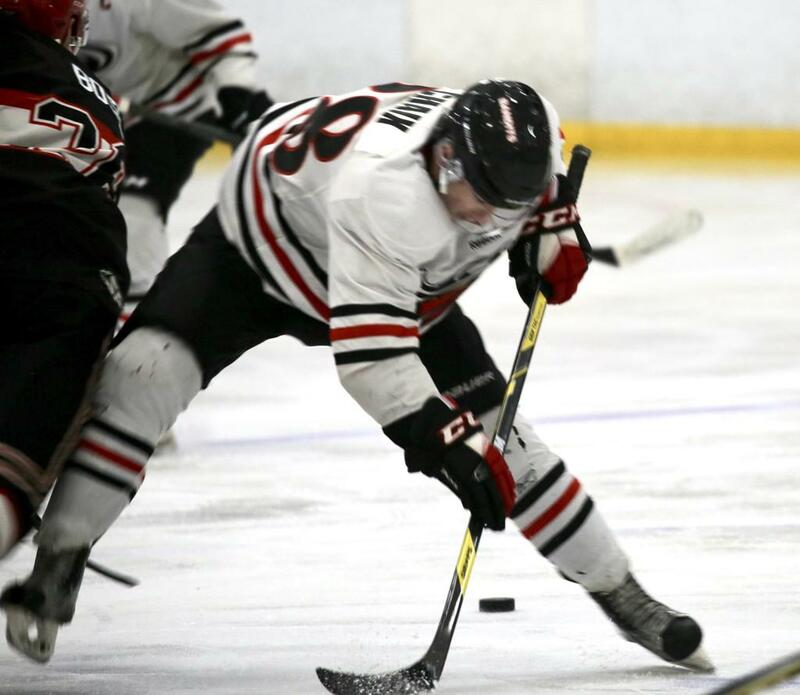 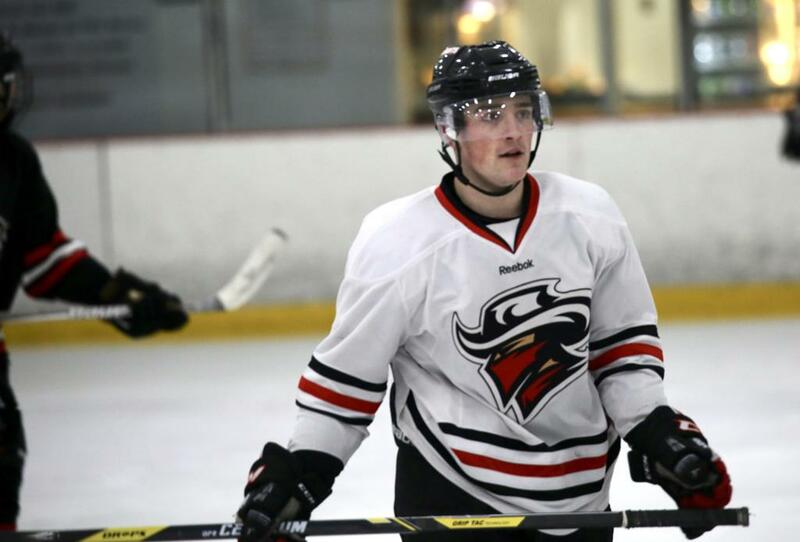 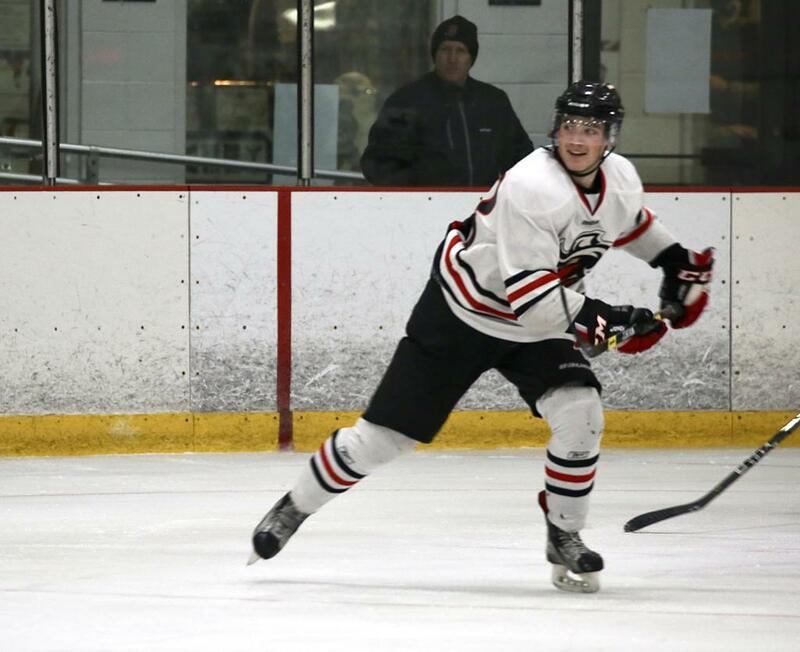 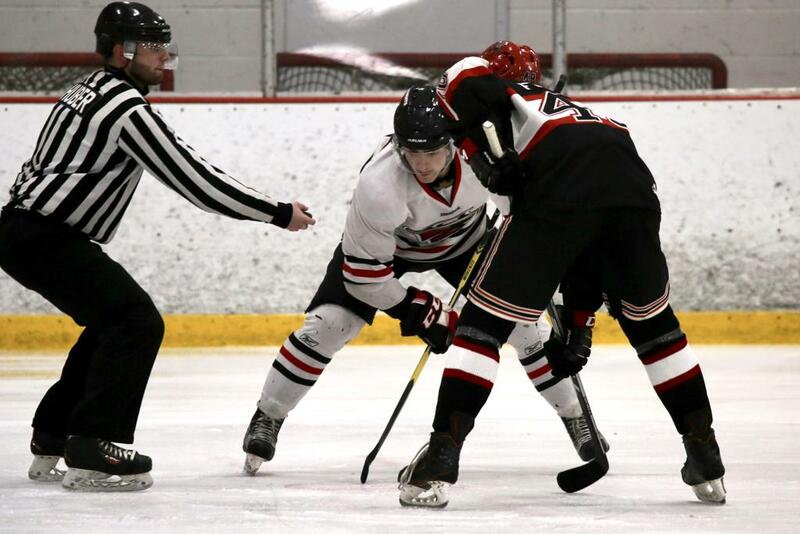 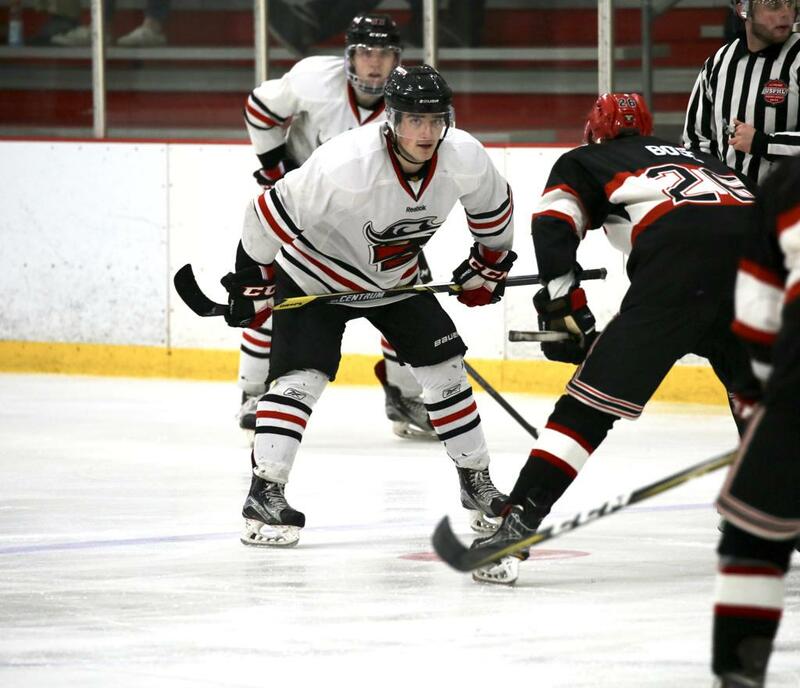 Last season Chaix played with the El Paso Rhinos of the WSHL but felt a move to the East Coast would offer more opportunity to take his game to the next level. 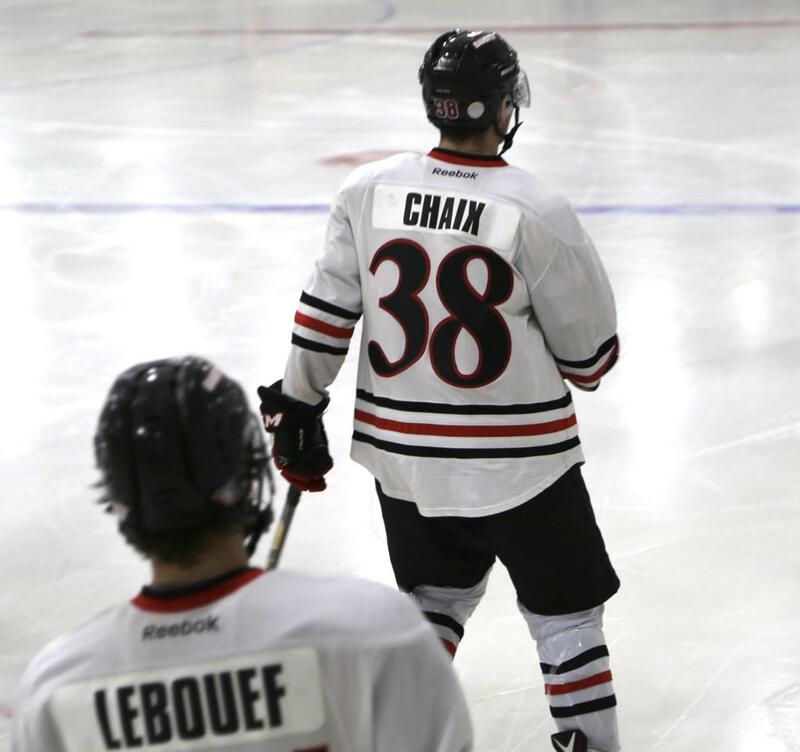 Some of the many reasons Chaix has had so much success in Junior Hockey are his tenacity, positive attitude, and excellent work ethic. 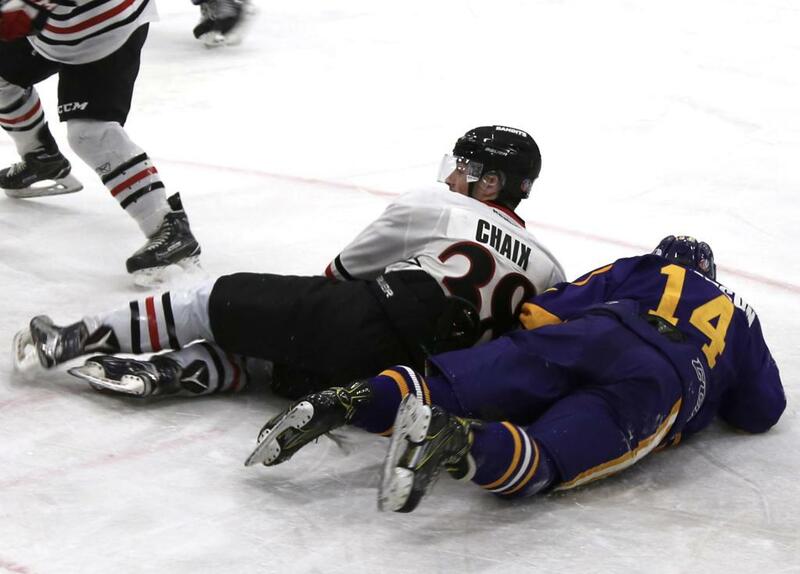 It is almost a two point swing if Chaix is on the ice. 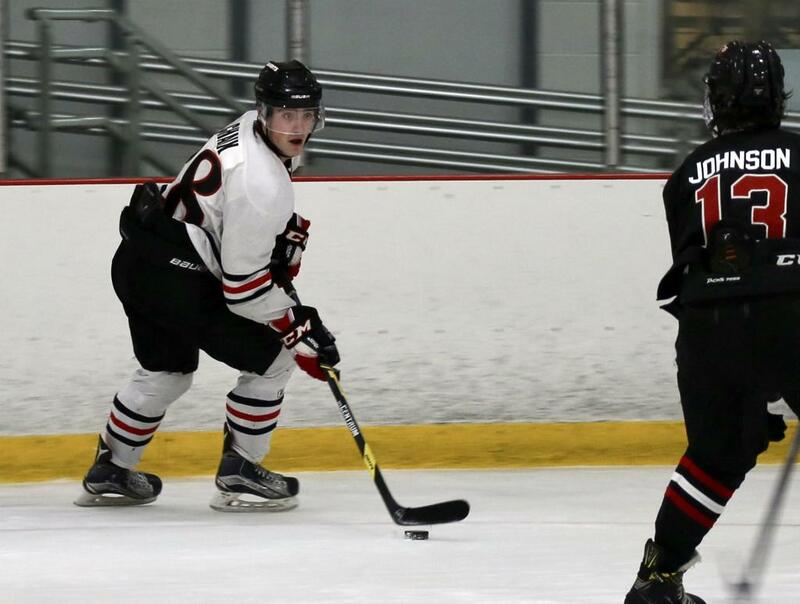 This year he has 15 goals and 18 assists for the Bandits. 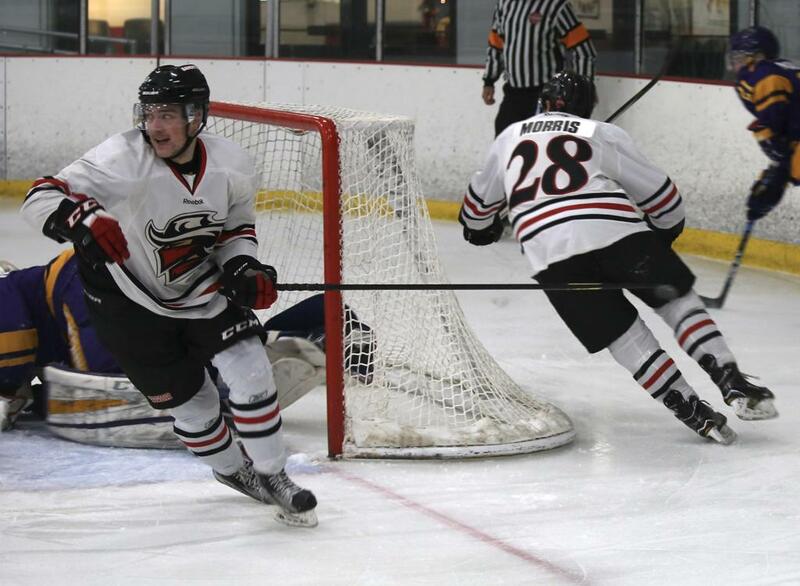 Chaix quickly made his presence known in the Bandits ranks and continued to be a high-impact player throughout the entire season. 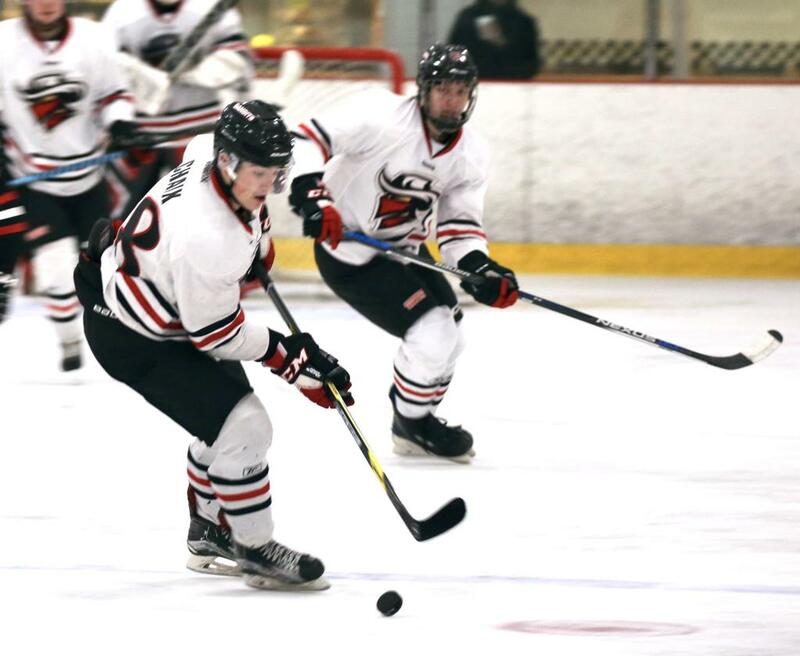 According to Bandits Premier Coach Jay Punsky, “Chaix came to us as an age out forward, who was hungry to earn a college commitment. 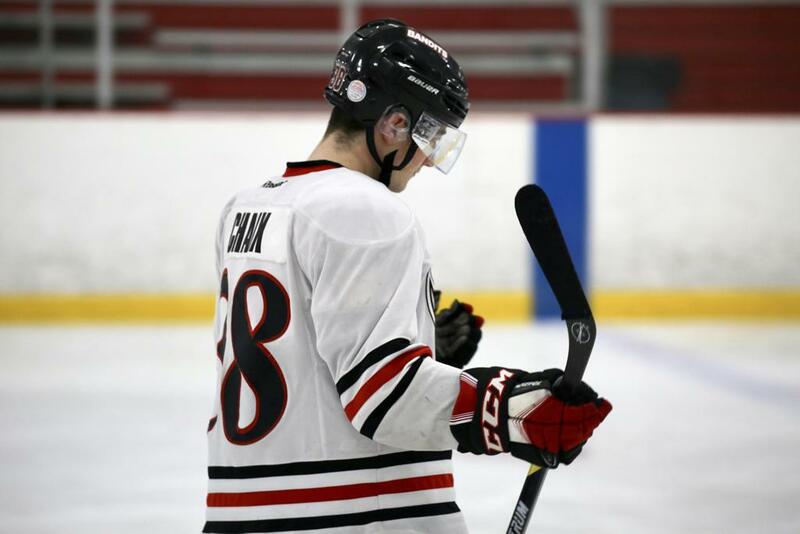 His dedication, work ethic and desire to learn, allowed him to achieve his goal of earning a college roster spot for next season.” Anna Maria is a Catholic liberal arts college located in Paxton, MA, who competes in NCAA Division III athletics. 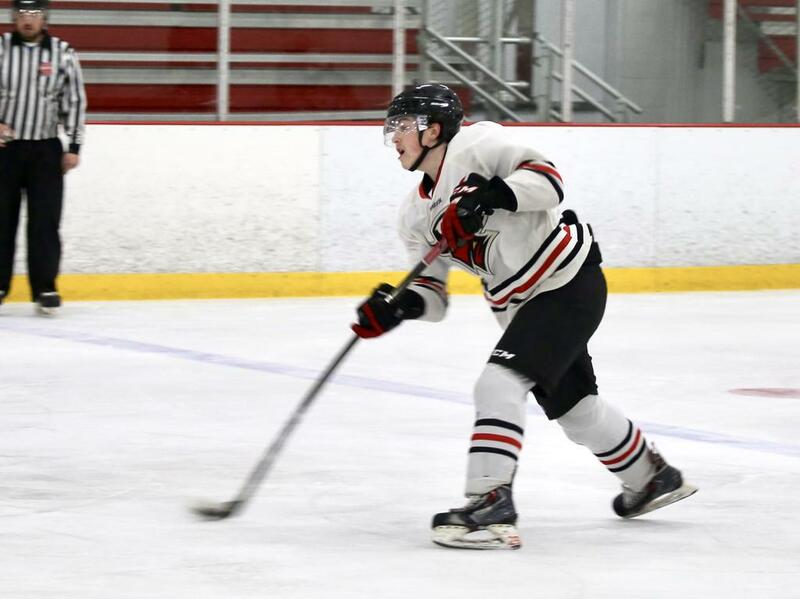 The inaugural men’s ice hockey team will compete in 2018-19 and the highly-skilled forward, Chaix is sure to be a difference maker. 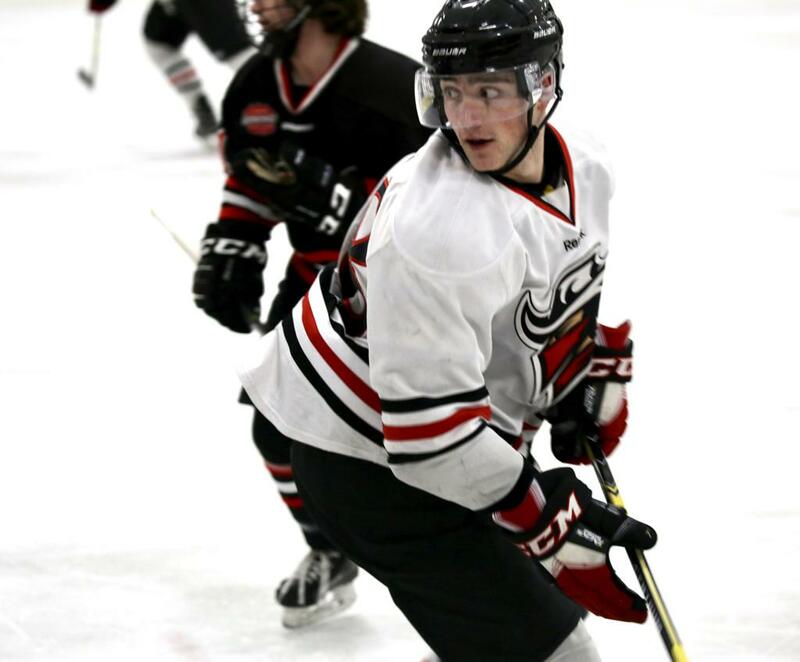 Regardless of whether it was a role he intended to fill, Chaix quickly emerged as an enforcer for the Bandits squad. 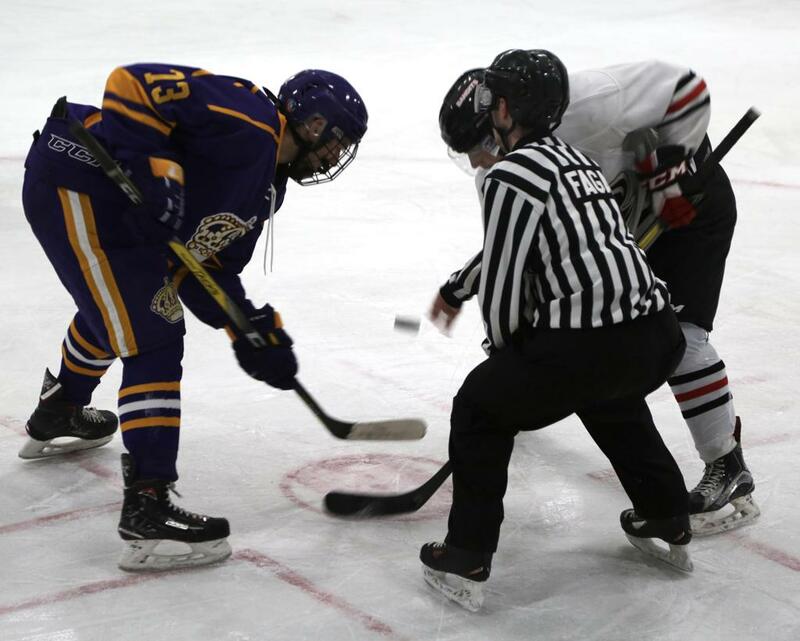 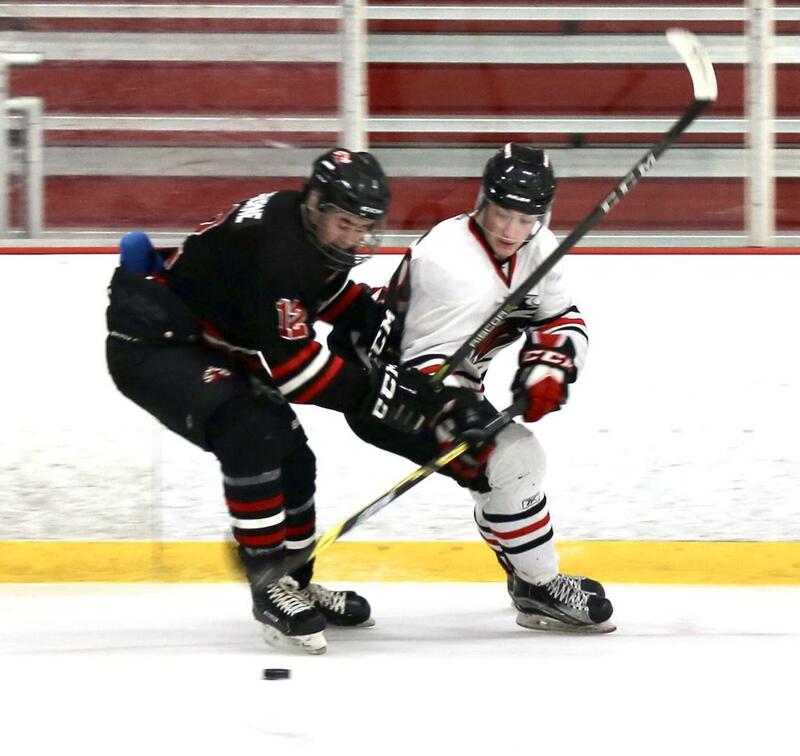 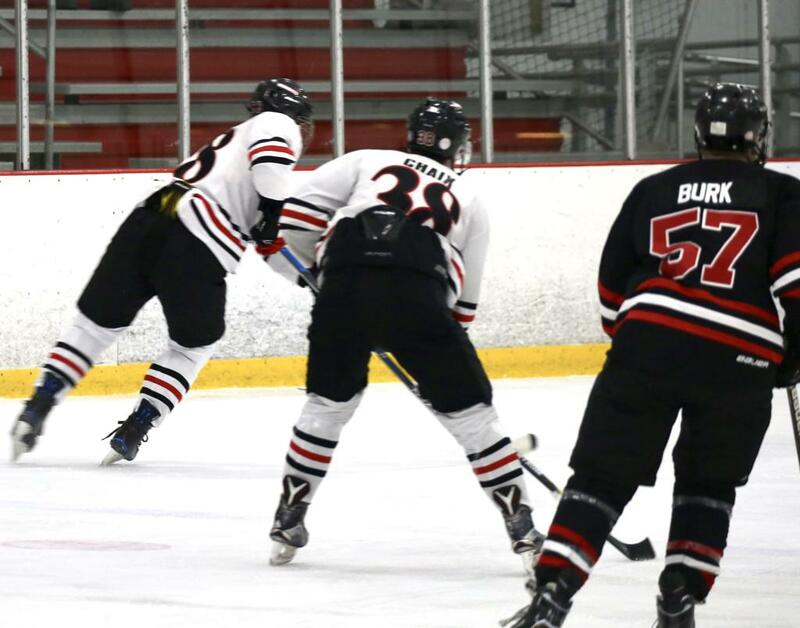 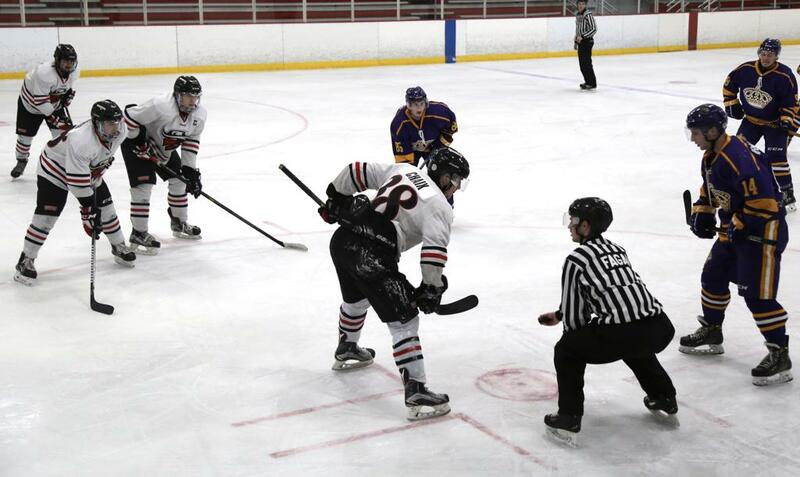 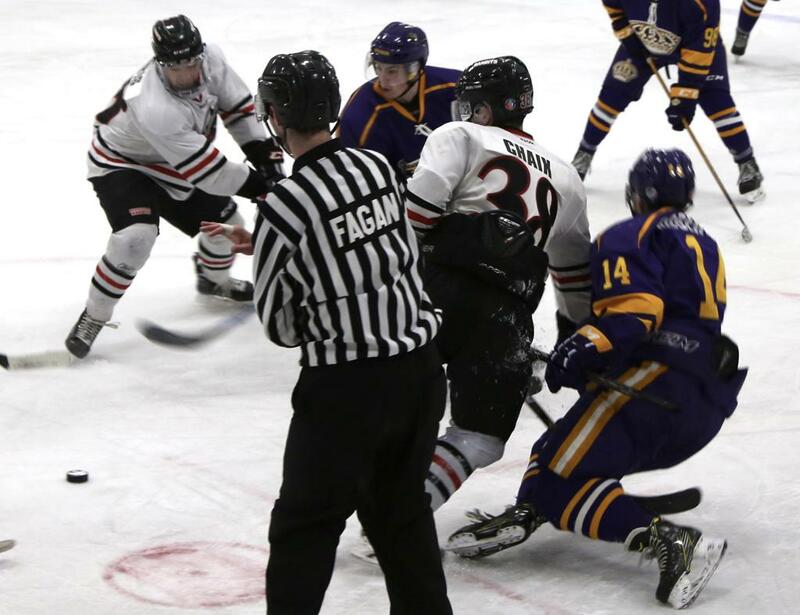 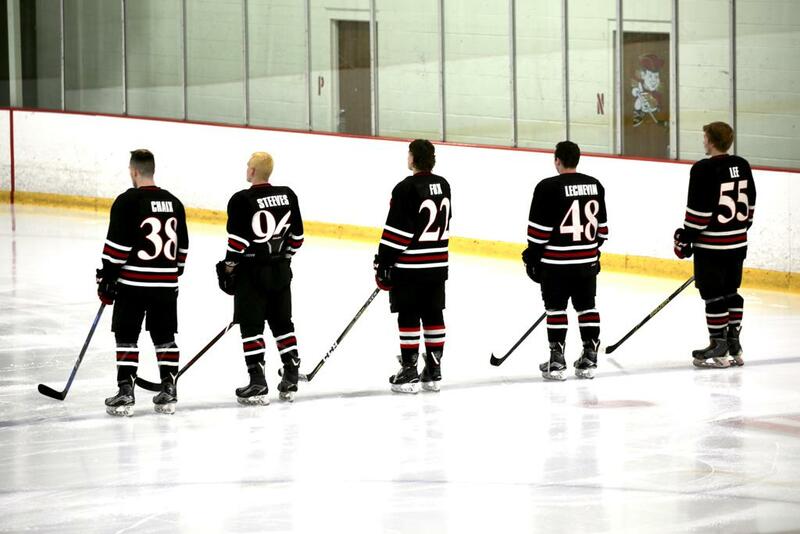 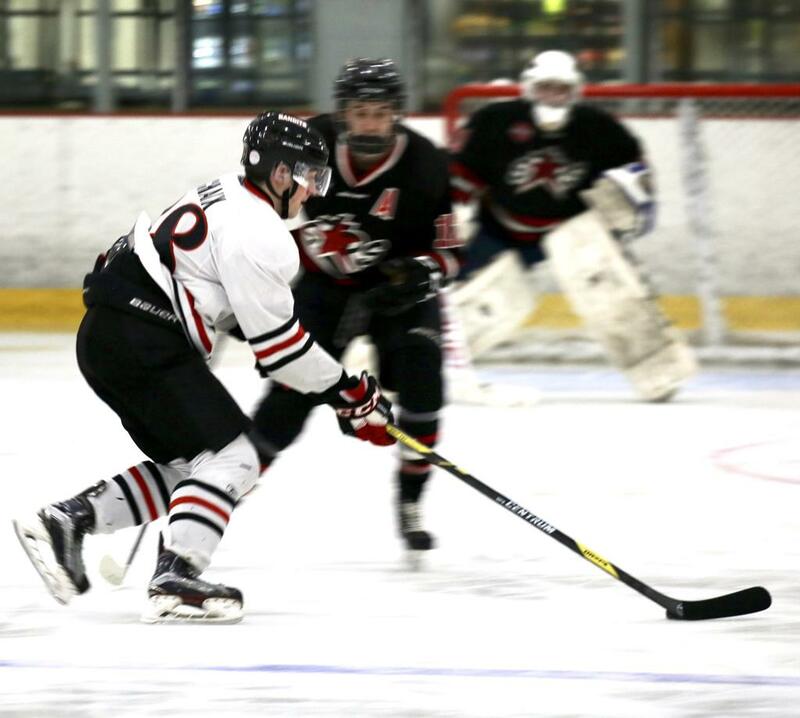 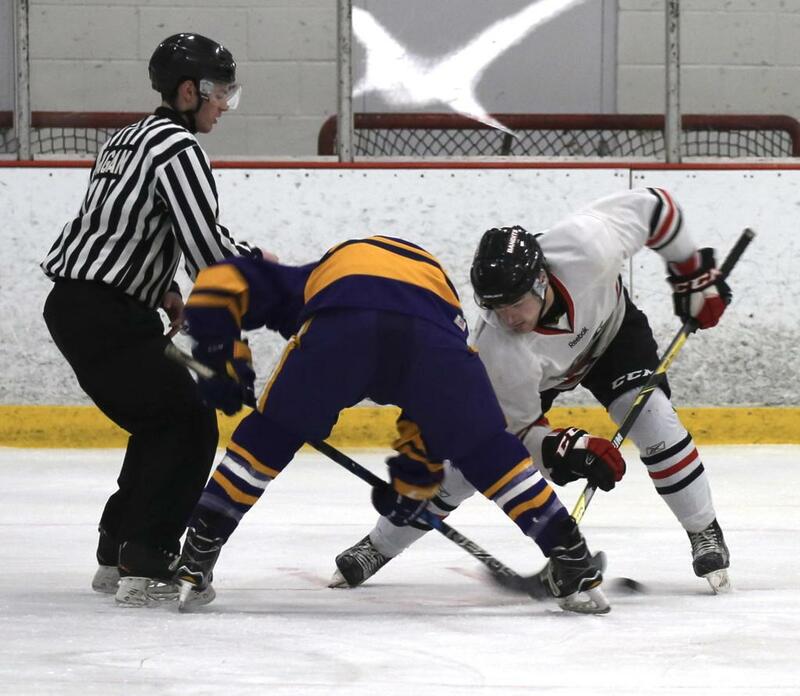 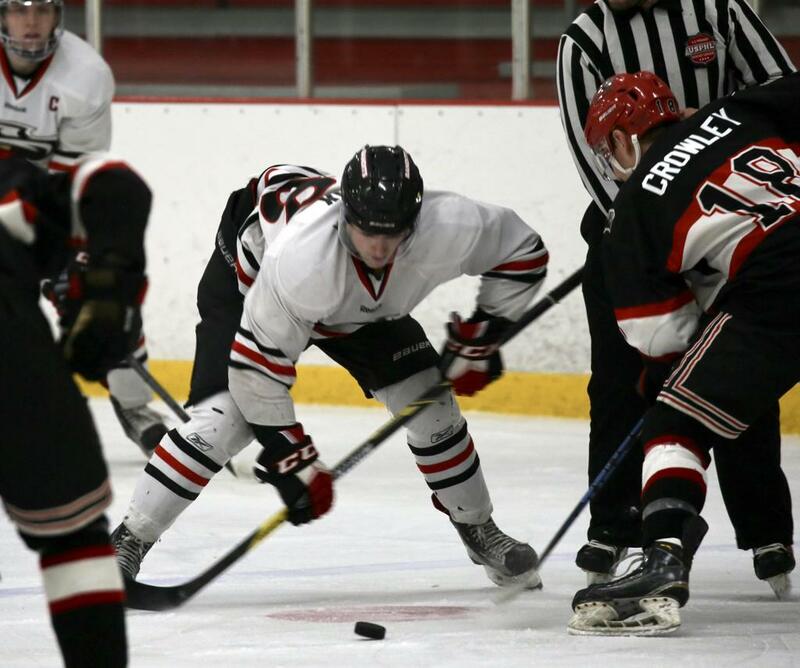 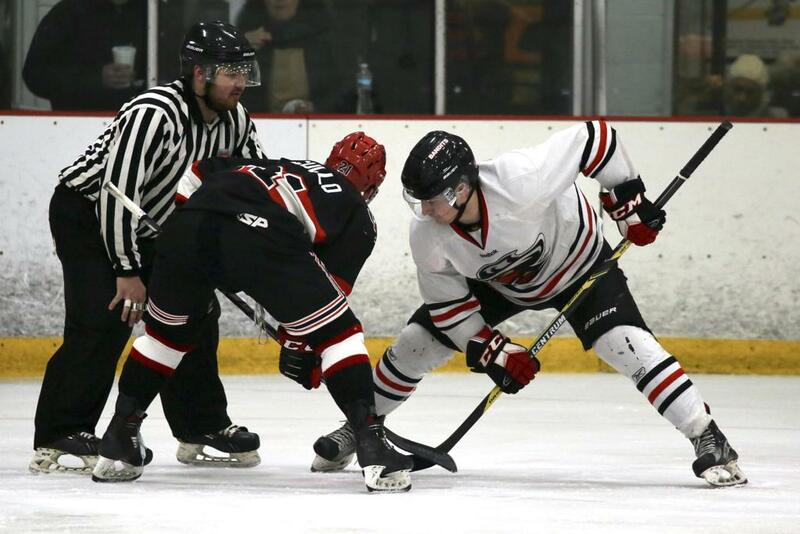 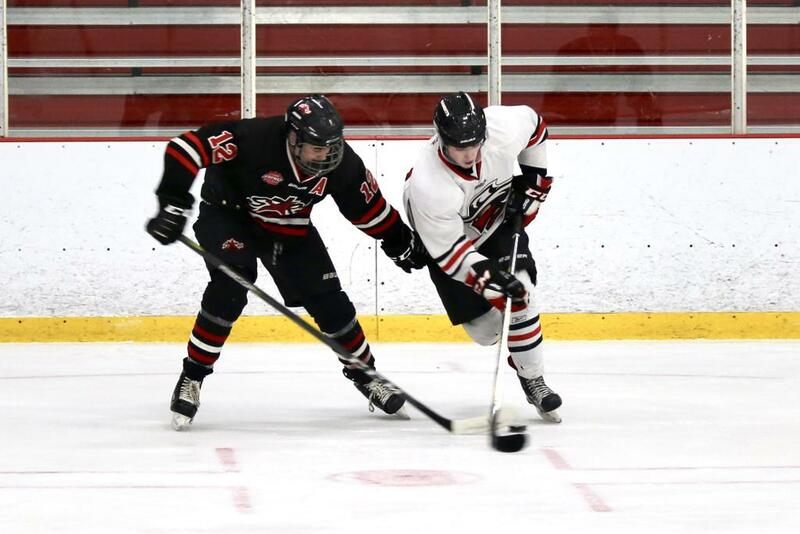 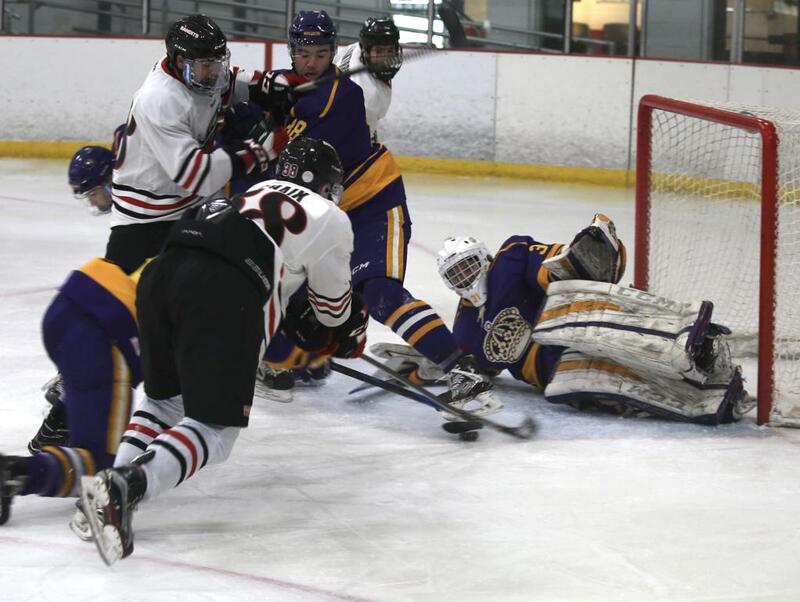 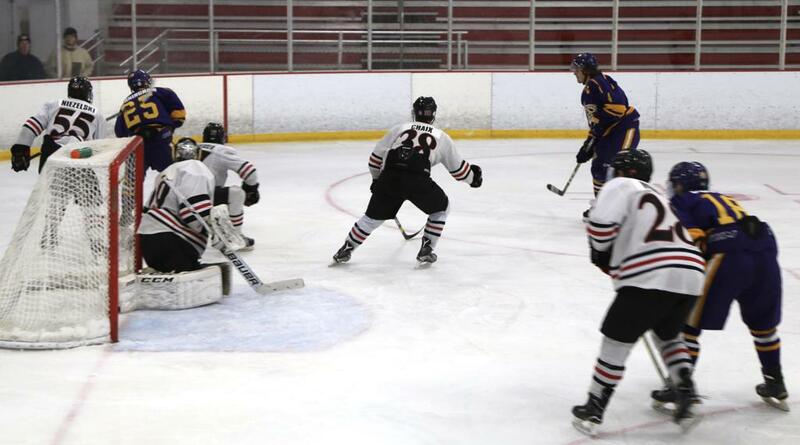 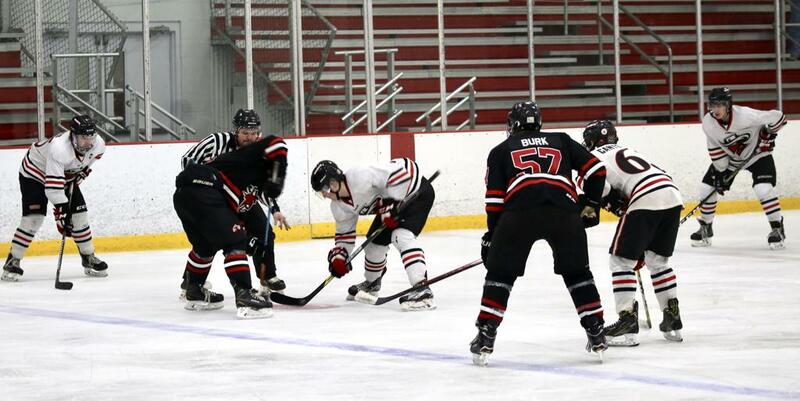 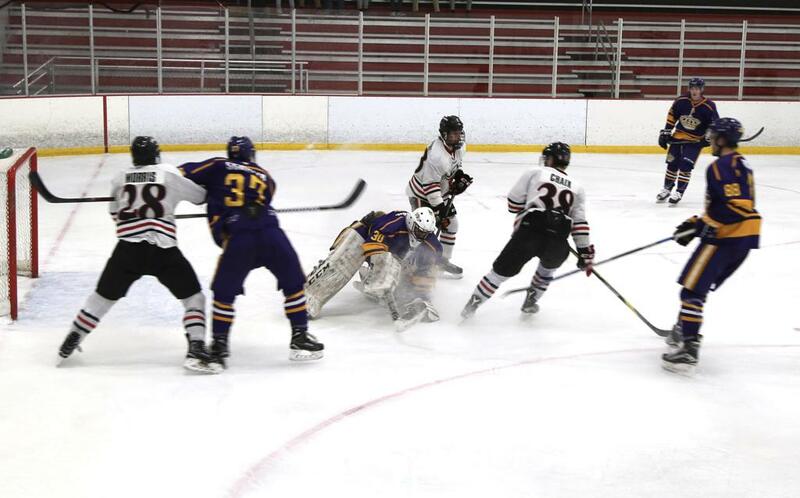 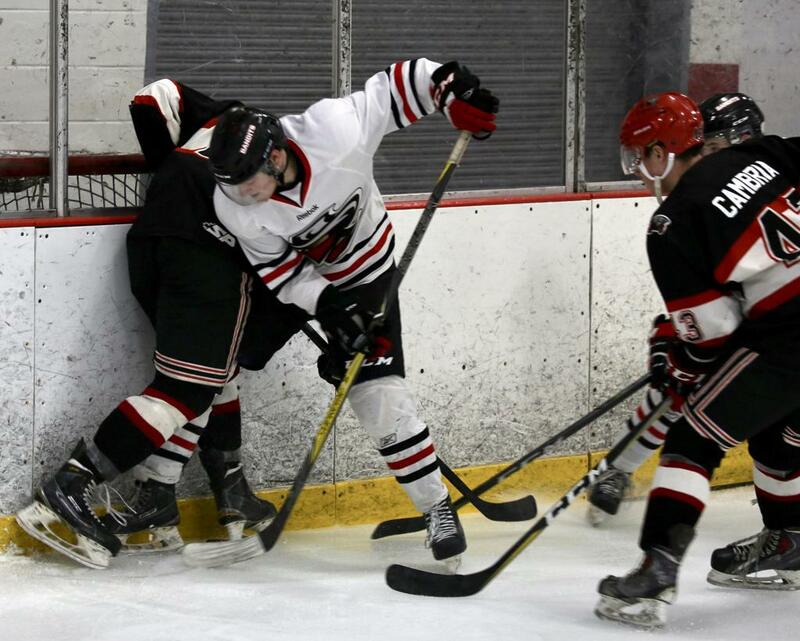 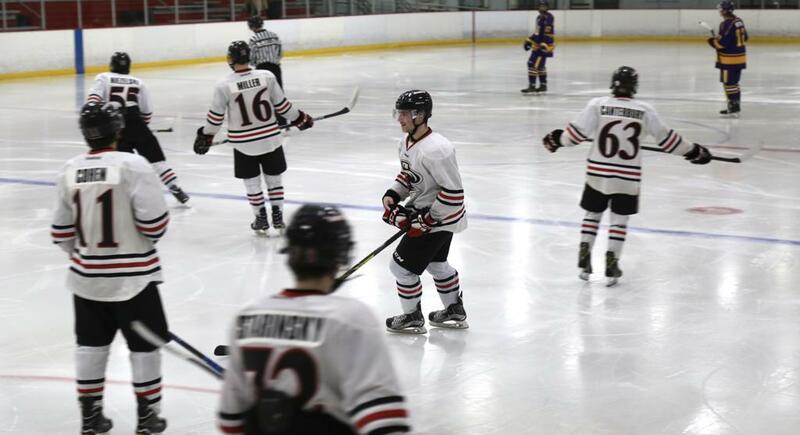 Coach Punsky continued, “I feel sorry for opposing players next season as Louis hits anything that moves. 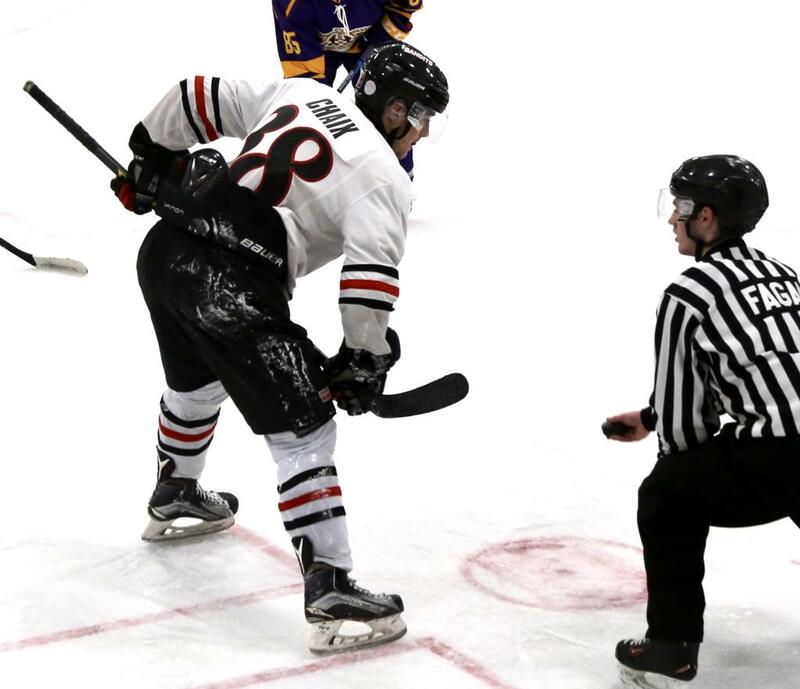 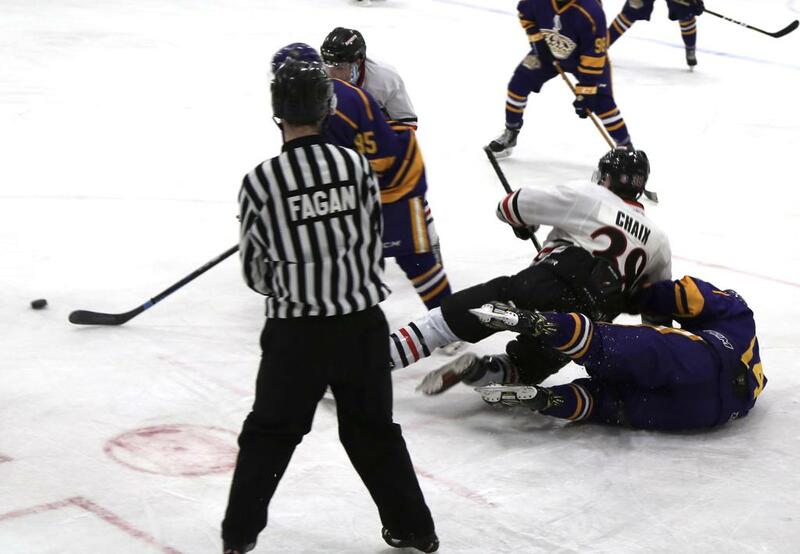 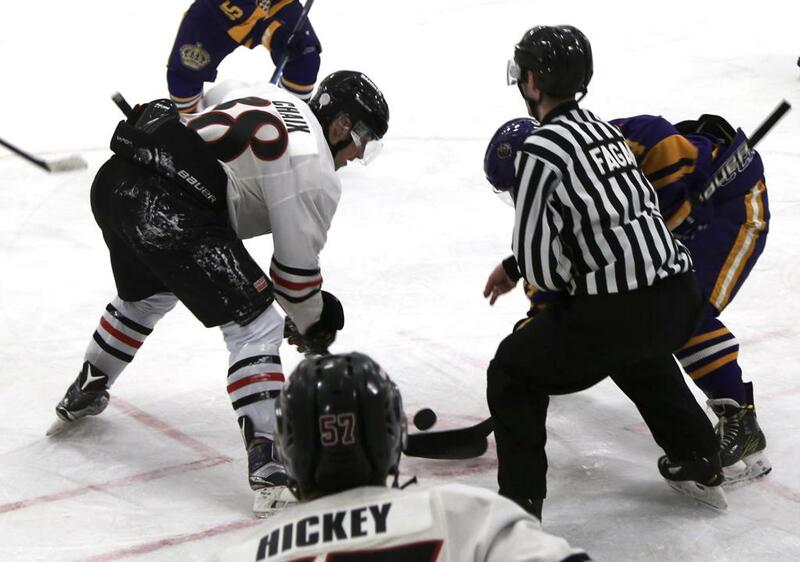 He will be one of the most hated players in college hockey next season, which is a credit to his style of play.” His opponents may hate him, but the Bandits love him. 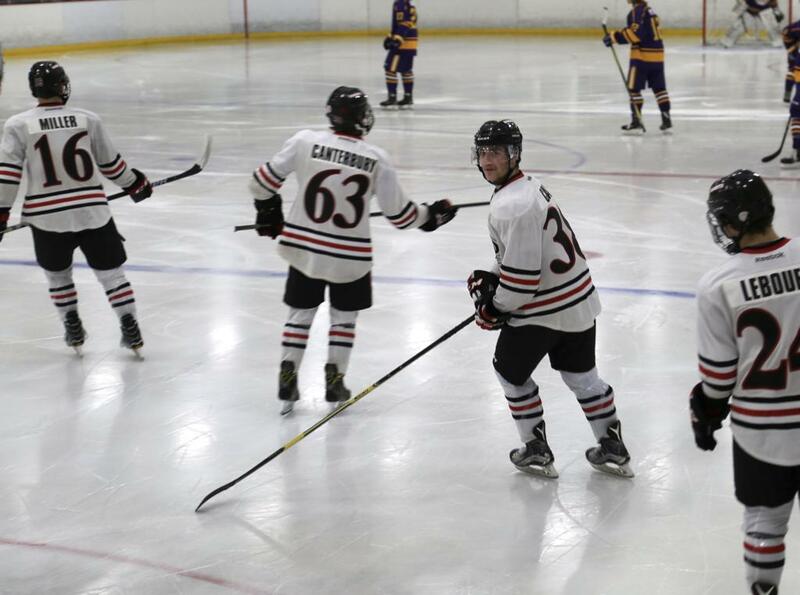 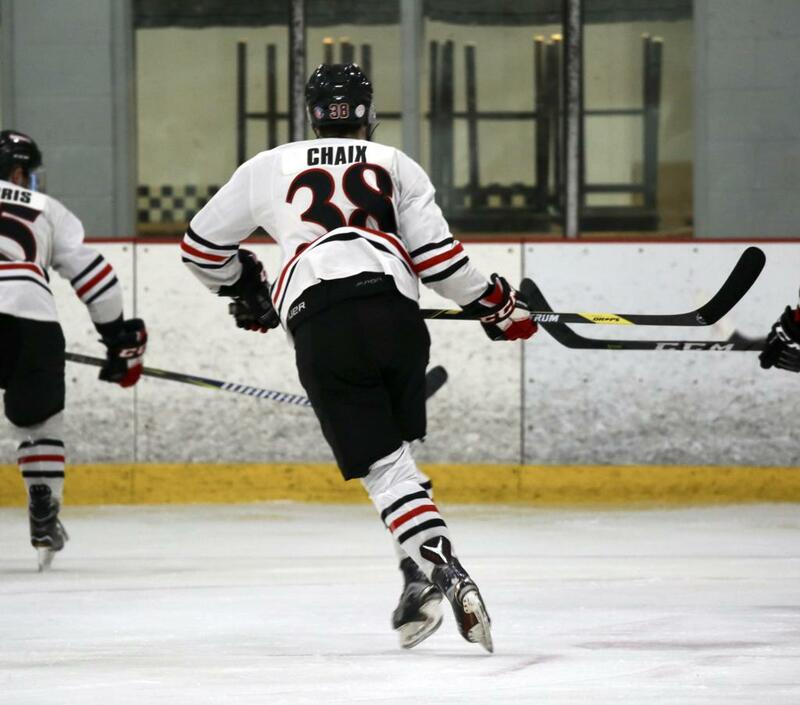 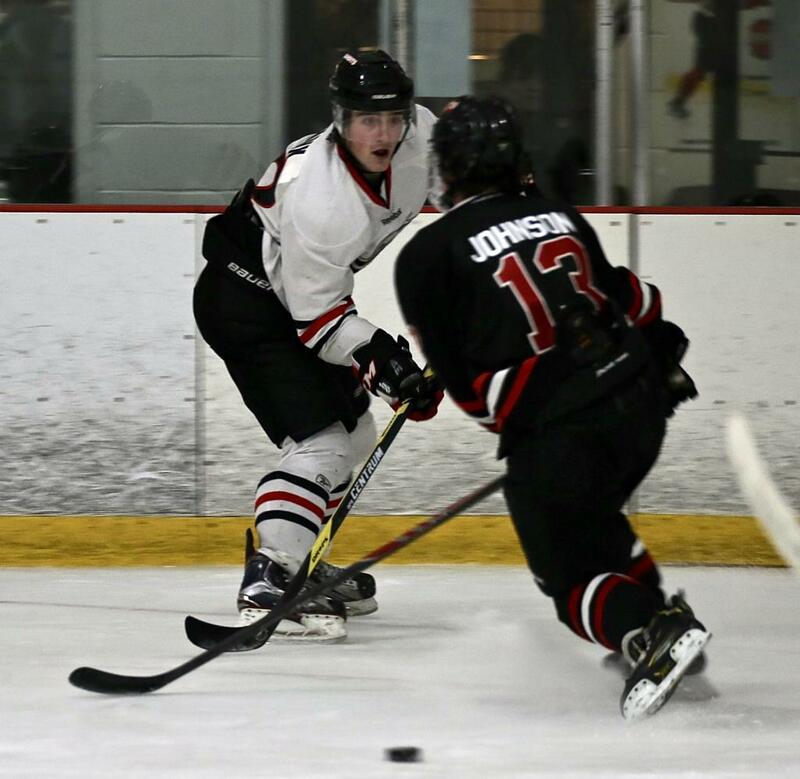 Chaix has led his team to a first round sweep of the Boston Jr Bruins in this year’s USPHL playoffs. 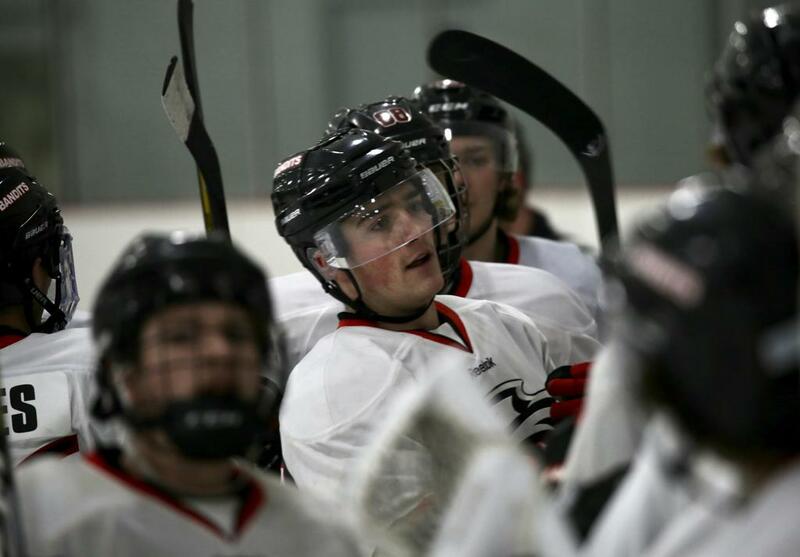 The Boston Bandits would like to Congratulate Louis and his entire family for this accomplishment. 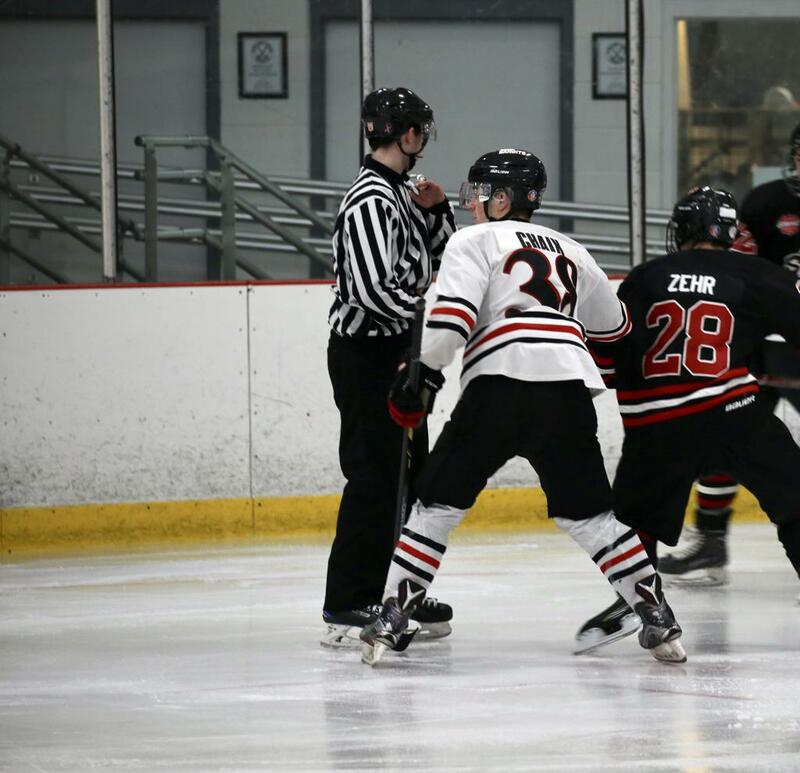 We can’t wait to watch Louis tear it up at the collegiate level.